As we are approaching the end of the year and the Christmas holidays, there’s still so much going on in our offices. 2012 has been an important year for the Local SEO industry and it has also been a crucial year for our team. Below I will try to summarize what’s been going on in the past 12 months and give you a quick behind-the-scenes look at KeywordSearchRankings.com. From the top changes of the year I want to mention first of all the unexpectedly growing popularity of local searches. It is clear that international searches are over-saturated, SERP results are filled with time-honored, well established websites and companies that have invested a huge amount of time and money into their online authority. Nowadays it is almost impossible for start-ups to compete with such deeply rooted opponents, this is why more and more SEOs are turning to optimization campaigns for a perticular geographical area. 2012 also brought a series of algorithm updates (Panda, Penguin, the shift from Google Places to Google Local, etc.) which forced all of us to reshape and reorganize our understanding of the way search engines work. These changes may have been less dramatic to those who remained loyal to natural, whitehat optimization techniques, while campaigns based on unnatural link building and over-optimization led to massive rank dropping. How far have we come in the last 12 months? We’ve told you a little bit about how the Local SEO industry evolved. During the past year our team has been just as active, here’s a little bit about the changes our tool has been through. So far, we haven’t talked a lot about the history of our tools, therefore allow me to guide you through a quick intro: the KeywordSearchRankings.com platform is less than a year old. Our tool’s very first version was launched in March 2011 under the name KeywordWatchTower.com, but KeywordSearchRankings was born over one year later, we released its first beta version in February 2012 to 1000 testers. To us the past 12 months have been crucial, thanks to our first testers we were able to better understand which path KeySR is following. April: launch of our official blog. November: we were pleased to inaugurate a completely new tool design. In order to make the reports more accessible and easier to follow, we reorganized our analysis structures, redesigned and improved the heatmaps feature and integrated Google Maps, thus enabling our customers to track the top local SERP results from one particular area or city on maps. December: in order to make the tool even more accessible, we spent a great deal of time to rethink our pricing plans. Starting with this month anyone can register a free account to generate reports for 50 keywords per month. We also introduced the Starter Plan at $19.00/month, offering small businesses the possibility to monitor 500 keywords each month. Up until this point, all of our registered users could generate and save reports in their accounts. They can also update reports at any given moment, by accessing the “My rankings” section and then clicking on Actions -> Update report. As of today this will no longer be necessary, since we just finished implementing a brand new feature, that enables our users to set automatic update rates (daily, weekly, monthly) for each of their reports. The new feature is available in each user’s account, in the “My Monitors” tab. Among the plans for the first quarter of 2013 we are going to include a major re-branding campaign. KeySR will soon be replaced by GeoRanker, a platform packed with lots of new features and a new name, that is easier for you to keep in mind and also will better reflect the work and the goals our team aims to accomplish. Some of you might already be familiar with SEO-Report.co, this is another SEO tool that our team has been developing. In 2013 we are going to fusion KeywordSearchRankings.com with SEO-Report.co, thus complementing our local SERP reports with lots of useful information concerning onpage and offpage optimization aspects. We believe this is going to spare SEOs of a lot of meticulous work and help them gain even more useful insight into their campaigns. Our platform is currently available in English, Romanian, Russian and Brazillian Portuguese. 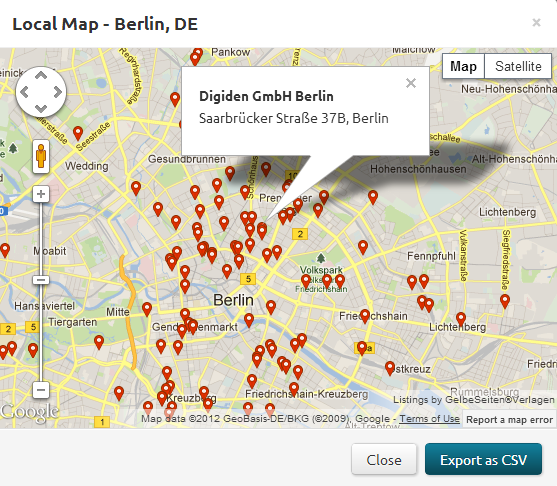 Another thing we expect to do in 2013, is to release our tools in many more languages, including German, Spanish and French. We’ve said so much about our past and our future plans. Now, we were hoping to keep this section short and instead invite you to fill it in. Obviously local searches seem to become more and more relevant and SEO compaigns with global tragets are no longer relevant to the majority of local and even national business models. Together with the growing popularity of local SEO strategies, we hope for our services to help SEOs and business owners to analyse, monitor and gain priceless insight into their online marketing strategies. So, what do you think the future holds? 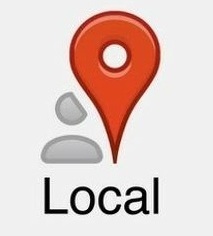 What will be the biggest changes in Local SEO? How do you plan to pursue online advertising (and especially SEO) in 2013?